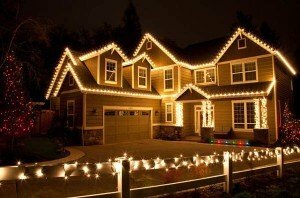 Colorful lights on a home are certainly enjoyable to look at but it takes considerable time and effort. It can also take a toll on your roof. That said, safety is key when looking to get involved in decorating roof without damaging it. For a homeowner, decorating accidents are the worst thing that can happen this season. That is why it is important to make sure decorating roof without damaging it is done safely. It is also important that ornaments and decorations are properly secured. Our experts over at American Standard Roofing have compiled a list of tips for decorating roof without damaging it. These tips help you stay stress-free and encounter minimal danger so you can enjoy the season fully. Make sure your decoration lights are properly wrapped before you climb the ladder outside. 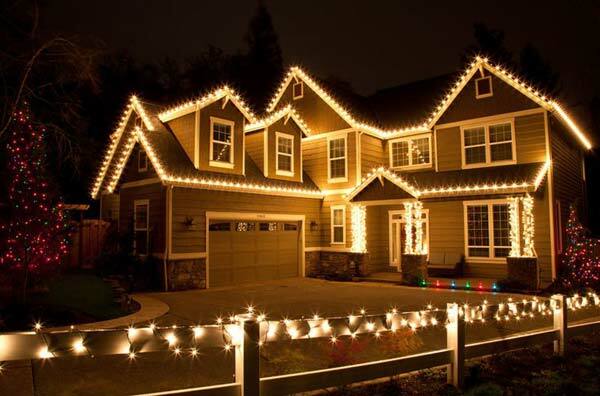 Decorating roof without damaging it means no tangled or twisted decoration lights/wires. It also means less time for you on the roof and more safety. Fix the wires before climbing the roof. Tangled wires can get caught in cracks and crevices. This increase wire exposure chances. This can also result in electrical sparks and other issues. A common mistake that most homeowners make is hanging decorative lights from their shingles. Our experts have seen people making holes in shingles and roofs to hang lights. This is a major no-no. Why? Because it can let moisture and other elements in. A suggestion we have is to put the Christmas lights up with clips that hang on from the gutters. Remember: decorating roof without damaging it means lights need to be secured properly to something. Do not leave them just hanging. It is important to take decorations down carefully when talking about decorating roof without damaging it. After the season, everyone is in a rush to take the decorations down. Ripping them down or hastily grabbing and pulling/tugging at them will only result in gutters and shingles being damaged. Take your time to remove each clip holding decorations, separately. Here is a gem from our experts: patience now will save you in repair costs later on. Our crews have also come across quite a few homeowners who have been subject to electrical shocks while setting up decorations. These decorations have a tendency to shock if they are not properly plugged away from power lines. Decorating roof without damaging it means using an external, portable outdoor circuit, for safety. We have also come across homeowners who overloaded their circuit breakers resulting in fires damaging the home. Be safe and play it smart. Two is better than one. Always have someone help you out when you are setting up the decorations for your home. There is a wide variety of things the helper can do. He/she can hold your ladder, help carry items, and above all help in times of emergency. This also reduces the chances of damages to homes which an average do-it-yourself-er is prone to. Speaking of do-it-yourself, our recommendation this holiday seasons is to set aside a budget for professional installation of decorations. Most homeowners are not that well-aware of electrical circuitry knowledge that is needed. Then there is also the issue of physical and equipment limitations. Decorating roof without damaging it, or the safety of the person decorating, is best addressed when you hire professional decorators. So there you have it. Hope these tips come in handy when you are decorating your home. Our team at American Standard Roofing wishes you a happy, healthy and safe Christmas and holiday season. For all your roofing,siding and gutter needs, feel free to call us at (248) 350-2323. We are happy to help!